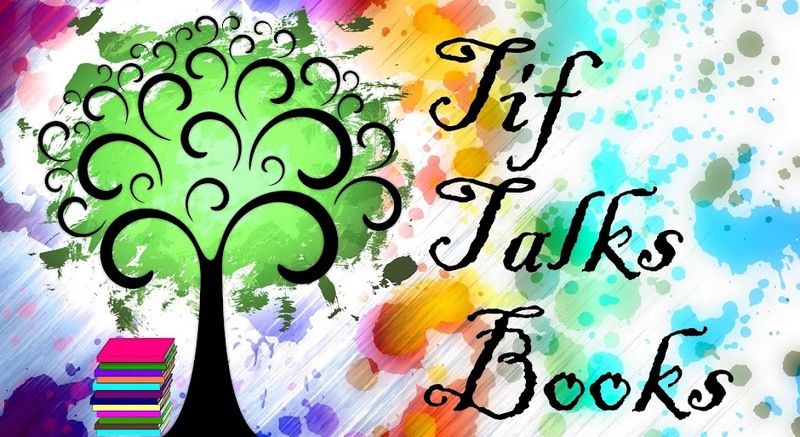 TIF TALKS BOOKS: Doctor Sleep Read-along: Kick-Off! 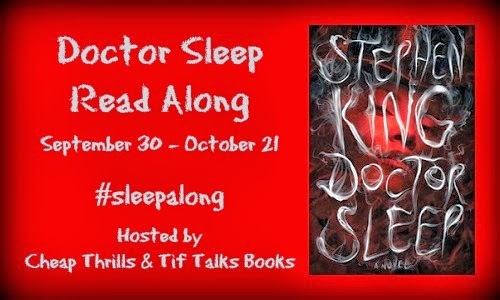 It is time to kick off the Doctor Sleep Read-along!! Less than a week ago, King's much-anticipated sequel to The Shining was released. Across the blogosphere, chatter has already begun about Danny and his new journey. People have dove in, and for the most part, I have been seeing very positive comments floating around. I, on the other hand, have waited to begin the book until today ... despite the queer feeling I have of my book staring me down from the corner of my living room. There have even been times that I swear I hear whispers coming from within the pages! No longer do I have to wait! Charleen of Cheap Thrills and I will be running the #sleepalong in a similar way to the #shinealong. Every Monday, we will post a check-in with thoughts and questions from the assigned reading. We will also be chatting the book up in real time using the hashtag #sleepalong on Twitter. Feel free to join in the conversation in either or both places. I had previously posted a tentative schedule, but now that I have the book in my hands, I have broken the schedule down into pages that coincide with natural breaks in the book. If you have already finished the book or discover yourself reading ahead, that is okay! We only ask that you watch your spoilers -- do not give away details covered ahead of schedule. Just to be sure, you may want to mark these places in your book, take notes while you read, or write your check-in posts after completing the scheduled readings. We don't want to ruin the story for all the other readers! Now, let's kick off this read-along with a few fun questions to ponder. I have included my thoughts for your enjoyment as well! Have you read The Shining? Was it recently or ages ago? Or, is your knowledge of The Shining from the movie and mainstream pop culture? For those of you familiar with my blog, you know that I just finished a re-read of The Shining through the #shinealong!! The first time I read it was decades ago, so it was good to revisit to have it fresh in my mind for Doctor Sleep. I have also seen both the popular movie as well as the miniseries, but those have not been recent. In a few sentences, describe your feelings on The Shining. Did you like it? What thoughts or images stand out for you? You can view my detailed thoughts on The Shining in the wrap-up post for the #shinealong, but in short ... I loved it, especially on the second time around. I loved the way that King created and built his characters throughout the story. His use of imagery, foreshadowing, and creating tension was impressive. I particularly enjoy the relationship between Danny and Mr. Halloran. The images that still stand in my memory is the unmasking as well as the hedge animals, some of which are not even in the infamous movie! What do you expect from Doctor Sleep? I am not really sure what to expect because I think that King's writing has evolved so much over the years. I guess you could say that in a way, I will be looking at not only how Danny has evolved over the decades, but also King has himself! I am also really keeping my fingers crossed that we find out where life took Mr. Halloran. I just adore that character and hope to see an appearance of him in Danny's life after that horrendous winter at The Overlook Hotel. That's it! Feel free to leave your thoughts in the comment section or link up below. Now, time to hit the book and revisit not-so-little Danny Torrance once again! Catch you on Twitter and see you next week for our first check-in! Are you joining in the #sleepalong?!? Damnit I was trying really hard not to buy this until paper back but read-a-longs are just too good to pass up. Count me in. I read The Shining a few months ago when #shineon was in full swing. I didn't like it as much as the movie which is funny because I read the book once before (years ago) and thought it was pretty good. I was less impressed with it the 2nd time around. I am about 45% into Doctor Sleep and feel that it could be a stand alone book. It helps to have read The Shining but it's not necessary (IMO). Ti ... That is very interesting! I'm curious what you think made the movie better than the book! You don't hear this very often, so you have me intrigued!! I'm still not far into Doctor Sleep, but hope to fix that soon! So far, so good! I read The Shining for the first time just a few months ago. It TERRIFIED me. No exaggeration. I even tried putting it in the freezer. I really liked The Shining, despite the way it made me feel. I hadn’t been upset by a book like that in YEARS. In fact, maybe not ever. Then I watched the movie…and it SUCKED. I’ve gone into Doctor Sleep with no expectations. The Overlook has burned down, so Danny’s story has to be something completely different. I’m actually on Part Two of the book, and I’m thoroughly enjoying it so far…and it’s freaking me out a bit. Heh. Heather ... 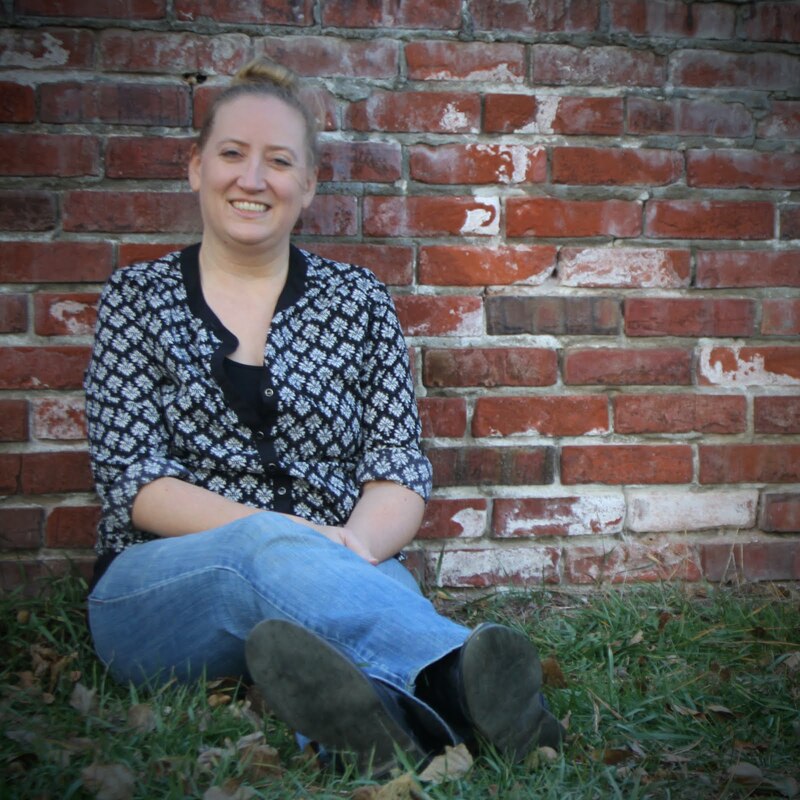 I also commented on your post over at Charleen's site! Just in case, here is what I said in a nutshell . . . what about the book did you find so upsetting? I know there is lots to choose from and think it is fitting for a freezer read, but I'm weird and like to hear what others think specifically! I've FINALLY started! Must say, there's a big chunk of book before we even get to chapter one! Charleen @ Cheap Thrills ... I'm still in the midst of that chunk of book! I've had a slow start with a busy start to my week. Did you see the link I posted about The Overlook and a pet cemetery?!? 1. My first read of The Shining was in 8th grade (many moons ago), so I re-read it last month in preparation. It was much needed! I've also seen the movie a bunch of times, but I feel like the book has a lot of detail that the movie neglects. 2. The Shining is one of my favorite King novels. It stuck with me for a very very long time after reading. The isolation of the Torrance family is so haunting, and not something easily replicated in modern times (thanks to cell phones, wifi, etc). I also love how conflicted King makes you feel about Jack's character (to be feared, hated, or pitied?). 3. I honestly have no idea what to expect. My best guess: it's going to be a totally different sort of story, detail-wise, but there will be strong ties to the relationship between Danny and Jack especially. I keep hearing in interviews how important the alcoholism is to King in this novel, so I think that will tie the two books together quite a bit. Heather ... Yeah!! We are posting our first real check-in tomorrow covering the first half of the book! Be sure to come on back and chat with us then, too!